TTP’s cry against drone attacks is understandable as during 2013 the CIA has become more precise in its target selection. 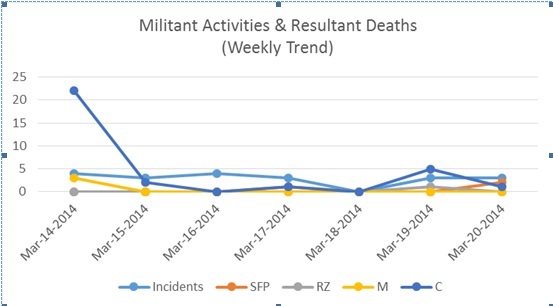 What I have learnt from the data compiled by the Conflict Monitoring Center is that this is the first year in the history of drone attack in which ratio of known killed militants to the unknown suspected militants is far higher than any other year. Another fact is that contrary to previous practice where TTP was seldom targeted and most of the drone strikes used to hit targets related to Haqqani Network, Hafiz Gul Bahadur group in North Waziristan and Molvi Nazir group in South Waziristan this year proved more lethal for the TTP militants. This does not mean that TTP was never targeted. Their first chief Baitullah Mehsud, master mind of suicide attacks Qari Hussain and some other commanders were indeed killed in drone attacks and Hakeemullah Meshud also survived an attack. However, attacks on TTP related target was a rare practice but when protest in Pakistan mounted, the CIA started to target TTP to justify its illegal campaign in the eyes of Pakistani public and security forces. Nevertheless, when Pakistan reportedly provided information regarding exact location of Mulla Fazlullah in Afghanistan, U.S. did not do anything. This made the drone campaign further suspicious and dubious. The demand put forward by TTP that Pakistani government must force U.S. to stop drone attacks prior to any peace talks is demonstration of group’s desperation. Groups like TTP are actually providing justification for drone attacks. They are the first violated Pakistan’s sovereignty by using Pakistani soil for attacks across the border in Afghanistan. Pakistan is internationally bound that it will not allow its soil to be used for armed attacks on international forces in Afghanistan. When Pakistan fails to control its territory than its case in the international community becomes weak. One can advise us ‘put your house in order, root out militancy infrastructure from your soil and there will be no drone strikes’. Now the demand by TTP has further weaken Pakistan’s case in international community. It can face questions at international forums ‘why do you want to save anti-Pakistan militants from drone attacks, they are killing your citizens so let them killed by the CIA’. Some mainstream religious leaders like Moulana Samiul Haq and Hafiz Muhammad Saeed have also endorsed TTP’s demand of stopping drone attacks. These leaders should comprehend the delicacy of the issue related to drone attacks. ‘Stop the drones’ is a popular demand by majority of the Pakistanis but this demand should not come as a ‘support’ to the cause of TTP and likes. No one should provide TTP his shoulder to justify their cause. 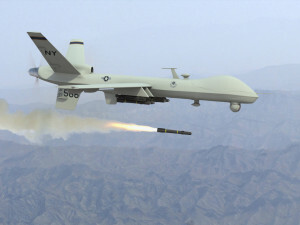 TTP’s demand to stop drones can prove counterproductive for the nation and anti-drone lobbies in Pakistan. There is a handful of people in Pakistan who for their own understanding of the issue or for vested interests favor drone attacks. One of the so called researcher Farah Taj conducted a fake survey some years back using a fake organization and claimed that local people like and favor drone attacks. Such groups and people can hamper the efforts started by Prime Minister Nawaz Sharif at diplomatic front by presenting TTP’s demand. The CMC’s data also proves that attacks carried out and accepted by TTP caused far more civilian deaths than drone attacks. 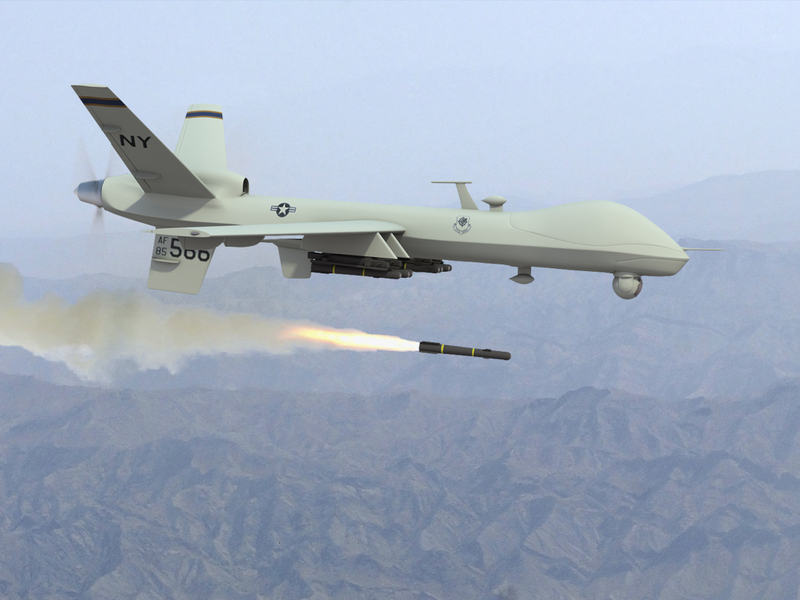 If drones killed innocents, so did the militants. If drones targeted mosques, madrassas and funeral prayers, so did the militants. So why you demand end of drone attacks but not ready to cease your own operations? A question which does not require a bullet reply please! A nice piece of work. Taking U-turns, changing statements and making fresh demands by the Taliban shows that they want to grab maximum concessions by the government through pressurizing it by several means. it can jeopardize the entire peace process. TTP must be mindful of this fact. I have a question. It is US intelligence agency CIA which kills taliban in drone attacks. Why the taliban don’t kill Americans / western interests in the region, and why they target only Pakistani citizens – the innocent people? Carol, I totally agree with you on the issue of legality of drone killing machines. My aim to write this piece was to highlight the consequences of TTP’s drone demand. People like you, Code Pink and others are peacefully working against drone strikes and making great deal of impact at international level. TTP’s should demand what is in the jurisdiction of Pakistani government and also see their own behaviour of killing innocent people.